4 ends of curling, a beer, and live music, all for $10 per person. Or, you can drop in at the door, starting at 6pm that night. Curling starts at 7pm. We are capping the curling participants at 64, so encourage you to purchase in advance to avoid disappointment. 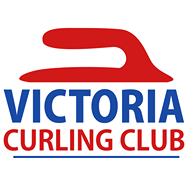 Past events have been a tonne of fun, and are newbie friendly – we will run an introduction to curling at 6:40pm, just before hitting the ice!